For the 2nd release on Righteous Works, 80′s reggae veteran Jahfa Culture (who brought us hits like “Listen to We”, “Commando Commando”) brings us his next record “Revelation Time”, a mid-tempo melodic stepper produced by Crucial Steve. 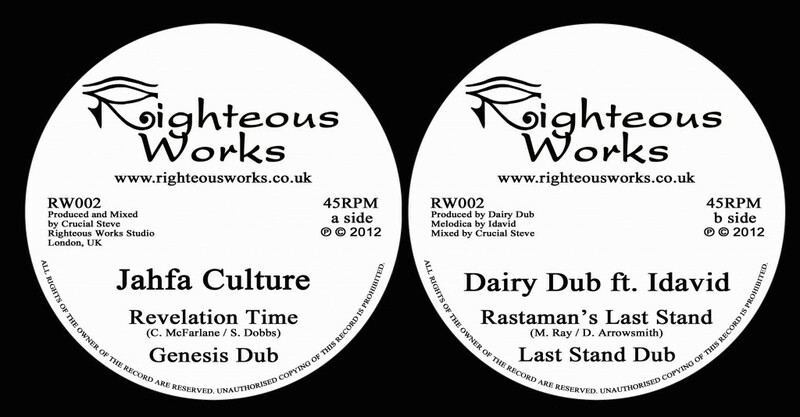 Dub version digs deeper into the riddim. On the flip side melodica maestro Idavid teams up with youthman producer Dairy Dub for his debut production “Rastaman’s Last Stand”. Mixed by Crucial Steve.